To make the shortbread, first cream the butter and sugar together in a bowl. Sift the flours together with the mixed spice and cinnamon, then add to the butter and sugar. Bring together the ingredients to form a dough and shape into a thick sausage. Wrap this in cling film and chill in the fridge for at least 30 minutes (or put in the freezer for 15 minutes if you are short of time). Divide the sausage into 16 equal slices. Flatten and shape each slice into a circle about 3 inches (7.5cm) across. Bake in an oven at 170°C / 325°F / Gas Mark 3 for 30-40 minutes, until light golden brown. Make up a batch of white glacé icing with icing sugar mixed with either some milk or water. You want the consistency of the icing to be spreadable, but not too runny. Make up a smaller amount of black icing by mixing black food colouring with your icing sugar and a little water. Then put the black icing in a piping bag with a small round nozzle (if you don't have a piping bag make your own from a greaseproof paper or a small food bag with the very corner snipped off). 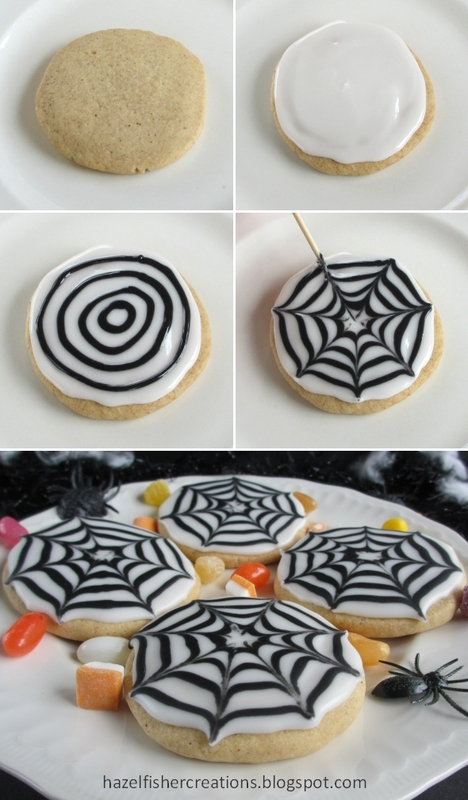 It is better to decorate the biscuits one at a time, as you need to make the spider web pattern before the white dries. First, spread white icing over the biscuit, carefully spreading close to the edges. With your piping bag, pipe 4 black circles which gradually get smaller in size towards the centre. 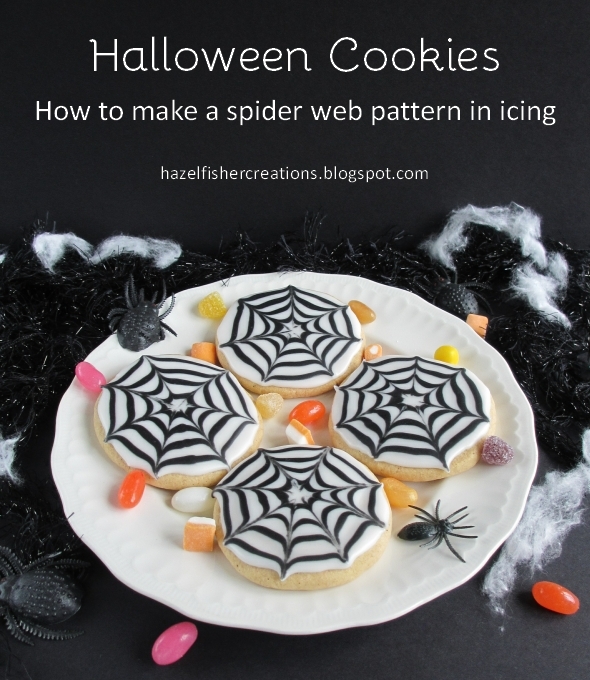 Using a cocktail stick, drag through the icing from the centre to the outside edge - repeat this to form the spider web pattern. I found that 7 or 8 'spokes' looked best. Leave to dry and they're ready to eat! 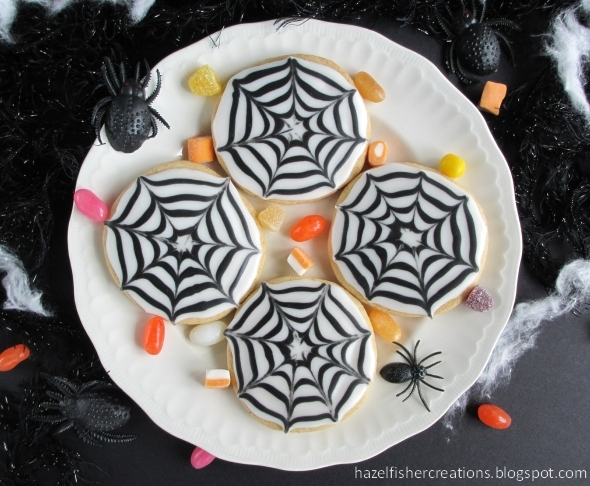 If you like this Halloween idea, do come and look at my blog again on Friday - I'll be sharing some more ideas of things you could make this weekend!